A huge thank you to Disney and ABC for flying me out to LA for the #ABCTVEvent where I learned all about ABC’s new show, Child Support. All opinions are 100% mine. I hope you are ready for a new family game show! 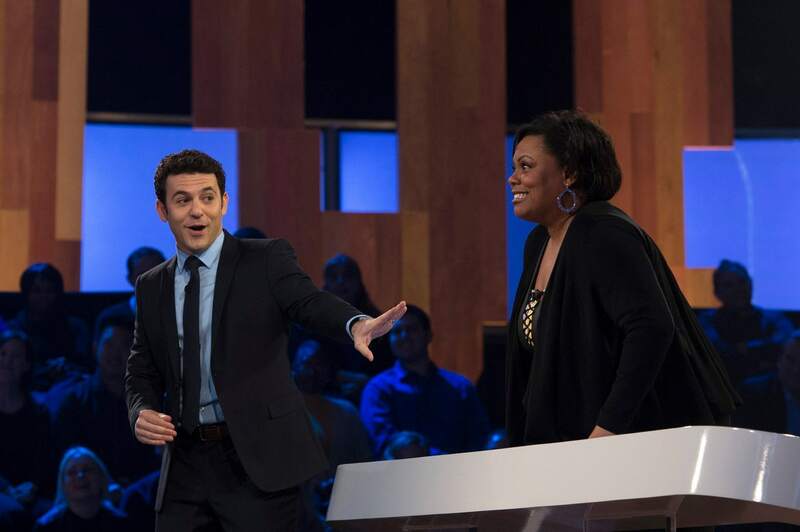 The series premiere of Child Support airs tonight, Friday, January 5th at 8 p.m. EST on ABC. “Child Support” is a one-hour studio-based series from Golden Globe® and Emmy® Award-winning Ricky Gervais and Banijay Studios North America. 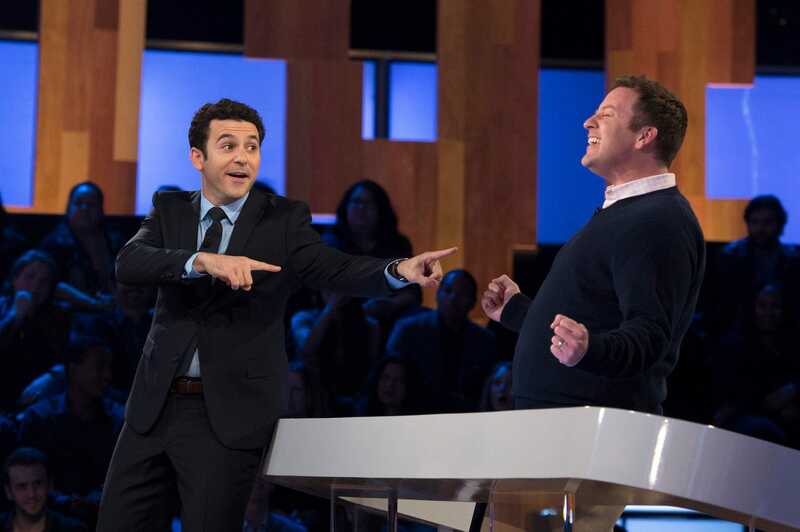 Hosted by Fred Savage, the goal of the game is to try and answer 10 questions correctly. If you can do it you can win the ultimate prize of $200,000. If you answer incorrectly you have a chance to be saved by hoping a group of kids who are asked the same exact question. If the kids answer the question correctly, you remain in the game. 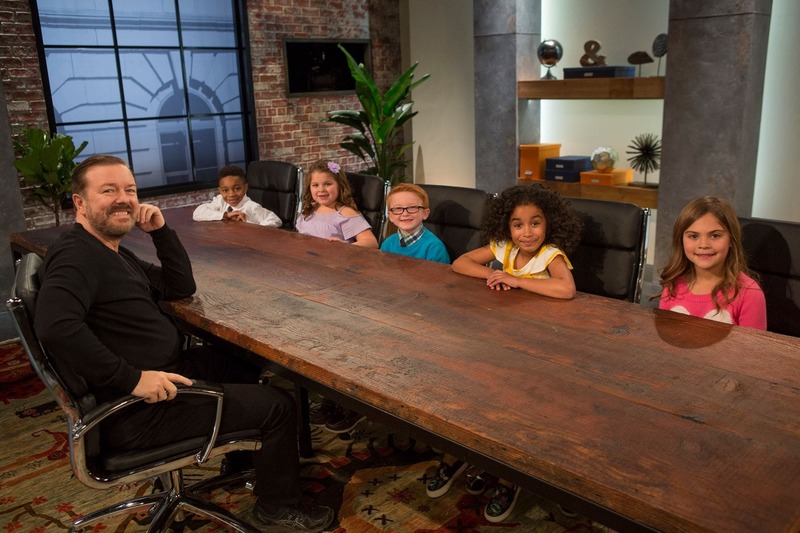 The series features adult contestants and priceless interactions between comedic mastermind Ricky Gervais and a group of five adorable kids who say the most unpredictable things. 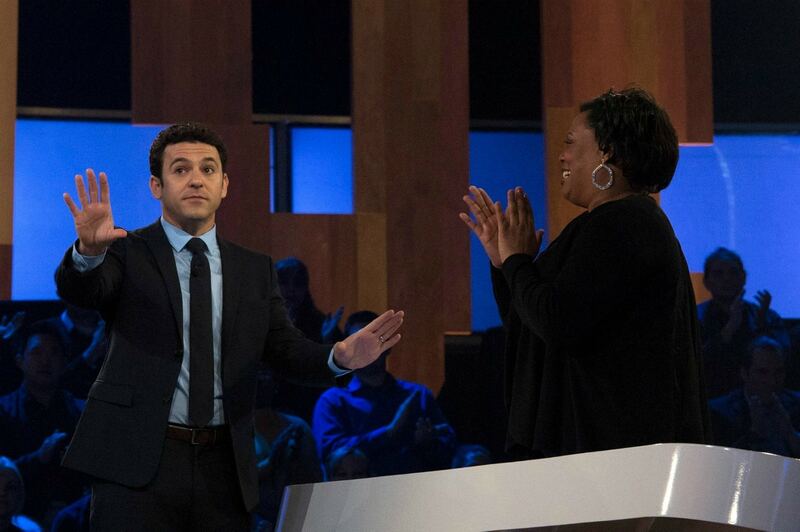 Last month I had the opportunity to watch an episode of Child Support and sit down with Fred Savage for a roundtable interview about the new game show. 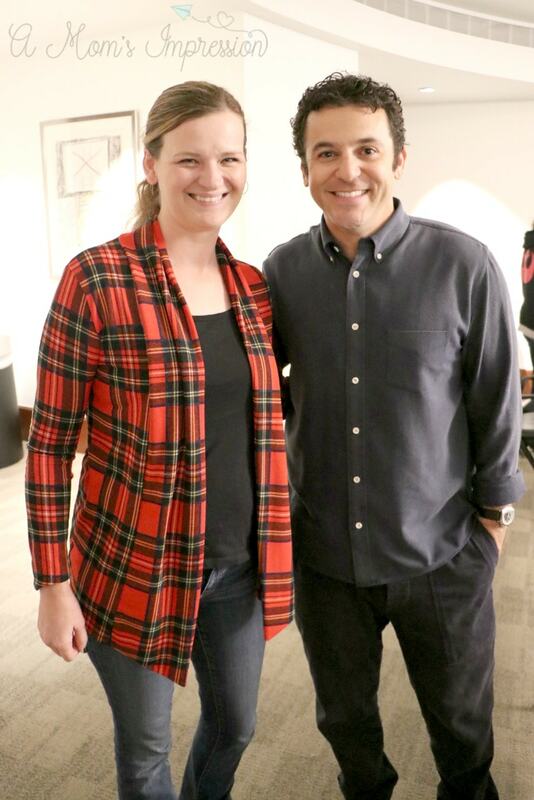 The entire season with host Fred Savage was shot in 2 days. Fred Savage hasn’t actually met Ricky Gervais. Fred Savage was concerned about the title of the game show at first. People walk away with nothing. People walk away with a lot of money! Fred Savage may have helped a contestant a little too much. Intrigued? Read on to find out what Fred Savage said about all of this! Confession… I had a huge crush on Fred Savage as a child. Most every girl my age wanted to be Winnie Cooper. Being in the same room with Fred was very surreal. He was down to earth and was really excited about his new show! I just enjoyed it. I had so much fun. The biggest thing, before we started shooting, I would go out and say hello to the audience and just say, I have no idea how I became a game show host. This was not like, a goal of mine. My wife or friends afterwards would be like, so like, how was it? Like, what did you learn? What’d you find out? And I’m like, I learned that I really have this inner game show host… I didn’t even know it was there. He really dived into his role as host and really engaged with the contestants. He became invested in the fate of the players. I would definitely get a little enthusiastic, I would try and help them, you know. I’d be like, okay, now just think it through and I would try and like, help them a little bit. I didn’t realize how, there’s like a whole legal team watching. I forget what it was, but there was something where they had to throw out the question because I screwed it up somehow. I forget what I did wrong, but they had to like, go back and cut and do a whole new question and they were prepared for that. He loved it when the contestant’s fate was in the hands of the kids! There is another guy who goes way down the road and his fate rests in the kids hands. That was what was so exciting. When someone was all the way down the road and they missed, they passed that last chance to keep the money, so now it’s just them and when they get it wrong and it all rests on the kids, that is like, you know, the whole point. Fred wasn’t so keen on the name of the game show at first. He was concerned about the negative association some people could have with the name “Child Support.” He even called Rickey up on the phone to ask him about it. I was like, I don’t know about that. I was really and that was the first time I called Ricky. I’m like, Ricky. This is not something that people have a very positive association with. Like, do we want to be the face of child support? He had similar reservations and he had a lot of trust, he’s like, look, there’s no better network who’s looking out for families than ABC and Disney and they’re not gonna do anything that’s gonna be inappropriate or negative or hurtful for kids or any of that stuff. I can say that after watching an episode, I agree with Ricky. The show is well put together and the meaning of the name “Child Support” is evident when you watch it. It is pretty clever actually! We made six episodes and it was a lot of fun, so it definitely is making me a lot more open to stuff like this in the future. The series premiere of “Child Support,” airs on The ABC Television Network, streaming and on demand. tonight Friday, January 5th from 8:00–9:00 p.m. EST. If you love ABC shows, be sure to check out my dancing experience with Dancing with the Stars!